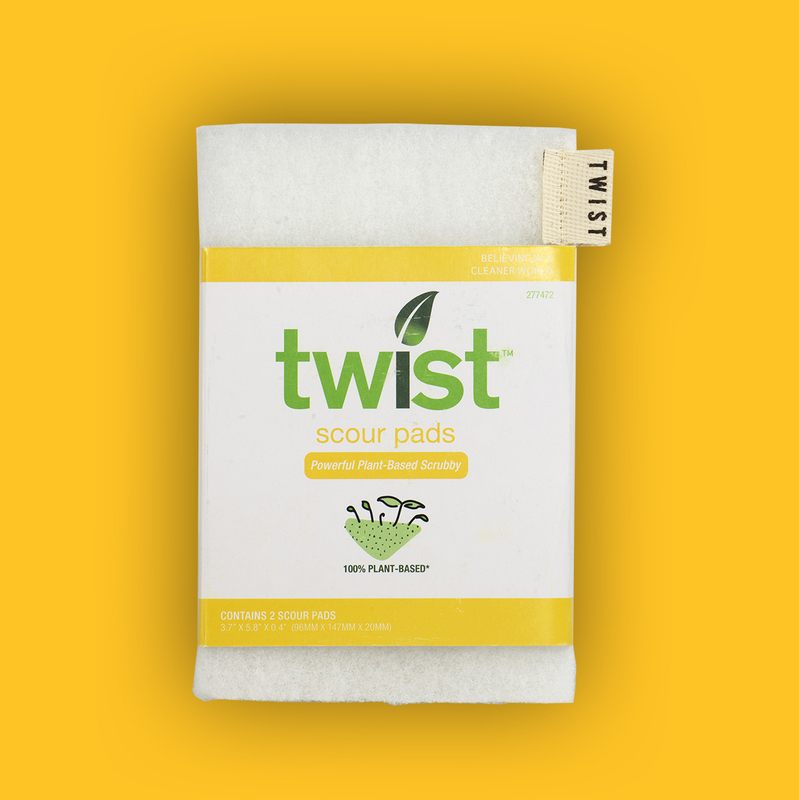 The Twist Scouring Pads are the perfect abrasive tool for tough scrubbing on any surface. 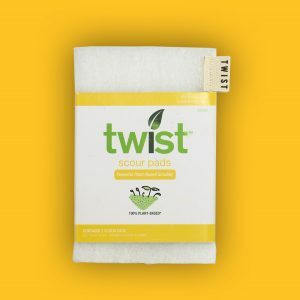 The Twist Scouring Pads are dye-free and plant-based, and pack a punch that rivals the conventional plastic green scouring pads. Scrub hard, and respect the planet while doing it.